Watching Gordon Wilson's Riot & Dance - Is Genesis History? Most people don’t know that Dr. Gordon Wilson played a key role in the creation of our film Is Genesis History? In April 2014, when I first started thinking about doing a documentary, a mutual friend recommended I reach out to him to get his perspective on the world of creation science. He was a popular biology professor teaching at a college in Idaho. I sent him an email with a long list of questions, and he replied he’d be happy to chat. By the end of a long conversation, he had put me on the right path. I had a list of initial scientists I should seek out and a few book recommendations. Looking back, my real research started with Gordon and ended with our documentary being released in theaters last year. One of the things we tried to accomplish with Is Genesis History? was to show that it is only through the lens of Genesis that we can accurately view natural history. 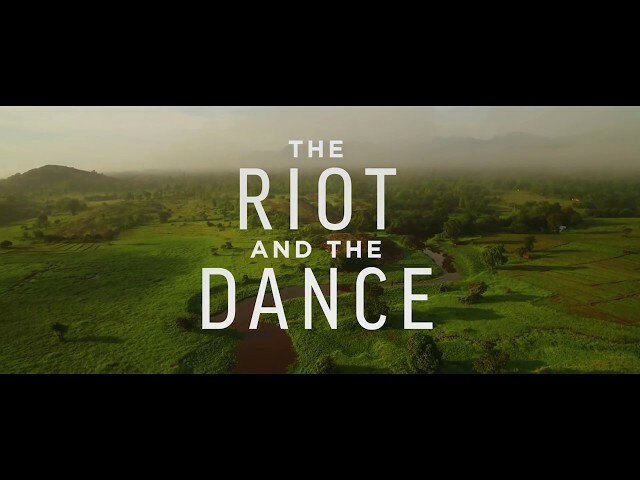 The Riot and the Dance takes this same perspective and applies it to the natural world around us, looking at the incredible design and beauty of the created world and showing how it can only be understood as God’s creation. But that answer doesn’t also explain the beauty and design we see around us. Rather, that is the tension between the ‘the riot and the dance’ – there is both great evil and great goodness in the natural world. It is only the history recorded in Genesis that explains why. The film begins with Gordon speaking directly to the audience telling them how he has always been enchanted with God’s creation. It shows him as a young boy with animals, all the way up through getting his PhD in biology, ending with him teaching students in the classroom at New St. Andrews College. This is a very important aspect of the film. There is a wonderfully personal feel to it, with Gordon taking the viewer in hand as he catches snakes and water bugs and lizards and, well, just all sorts of creatures that one can’t quite believe he’s grabbing hold of. Of course, this is what God made the creation for us to do: He wants us to grab hold of it. After all, He designed it for us and Gordon does an amazing job showing just why it’s so captivating. We should love the study of the natural world because God made it to amaze us. The colors, the designs, the sounds, the smells – it is all created for us to know and understand. From a filmmaking perspective, The Riot and the Dance is the kind of cinematic endeavor that makes me artistically jealous. It’s just so beautifully filmed at every possible point. From lush tree-towering forests to cold seal-covered beaches to dusty snake-swarming deserts, this is a film to savor and enjoy. Words fail me – so here are few more shots from the film itself. The film will be showing in theaters Monday, March 19, 2018. Look to see if it’s near you, and if so, take your family or a friend to go see it – you won’t be disappointed.